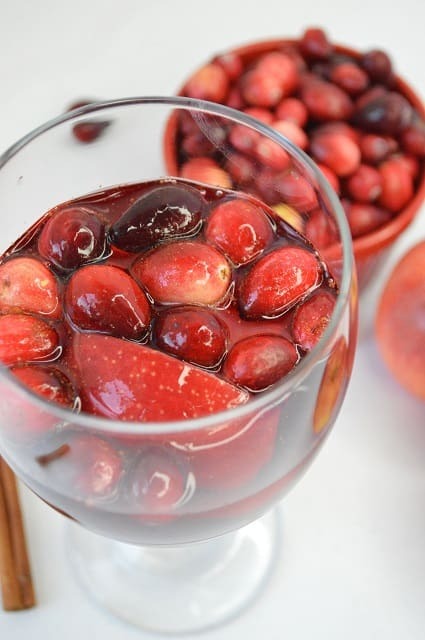 A crisp, festive and fun to drink fall cocktail for the holidays or any day with fresh cranberries and apple. 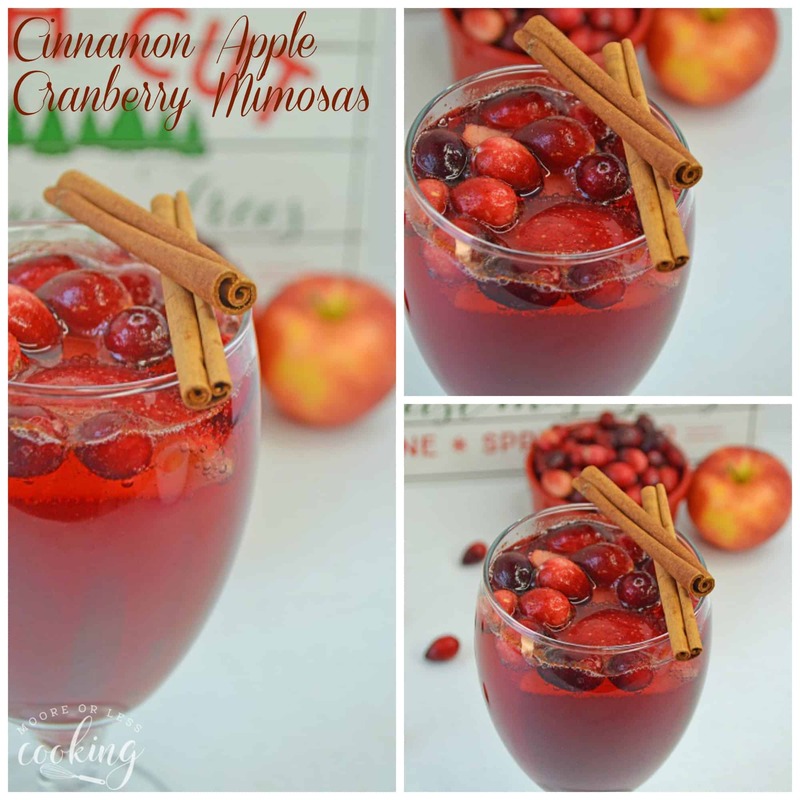 If you are like me and excited to drink a mimosa, you will love this fall cocktail. It’s so easy to put together and so delicious! 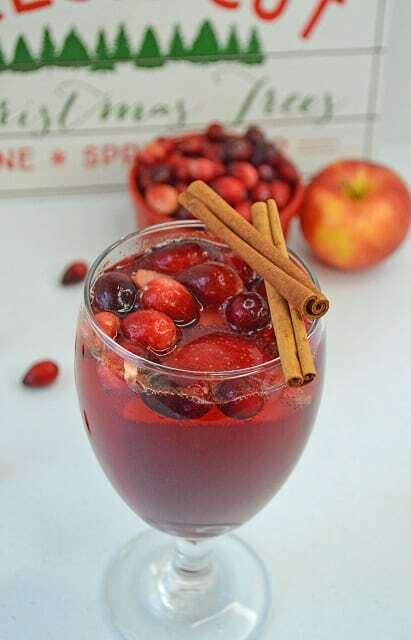 These tart and refreshing Cinnamon Apple Cranberry Mimosas are a perfect libation while stuffing the bird, setting the table, or watching the Macy’s Thanksgiving day parade. 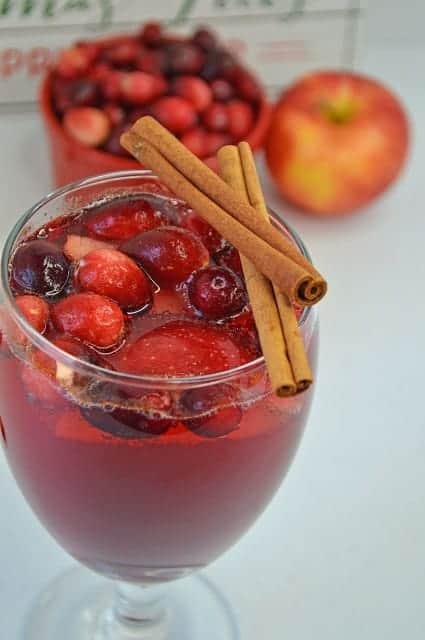 If you host a Thanksgiving brunch, Cinnamon Apple Cranberry Mimosas make a festive cocktail — two or three of these will keep that smile on your face in the worst of circumstances (even when Uncle Kirk starts talking politics)! For the more sophisticated cocktail sipper, add a cinnamon stick to the glass. 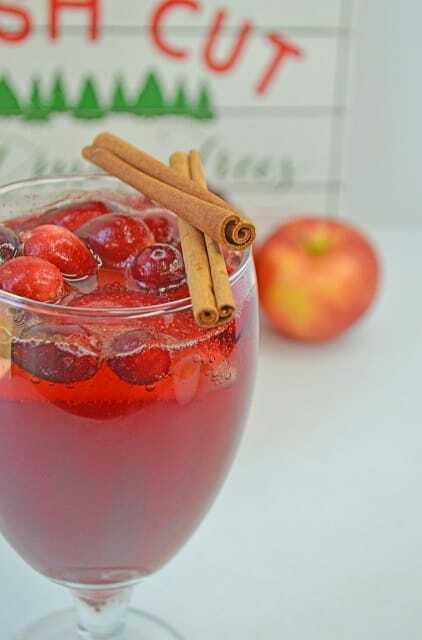 First off, combine apple slices and cranberries in a glass. Sprinkle in a dash of cinnamon. 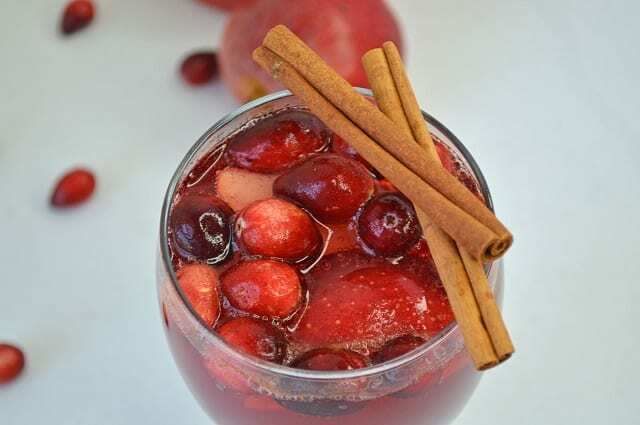 Pour in cranberry juice, apple cider, and champagne. Cheers to a lovely holiday! 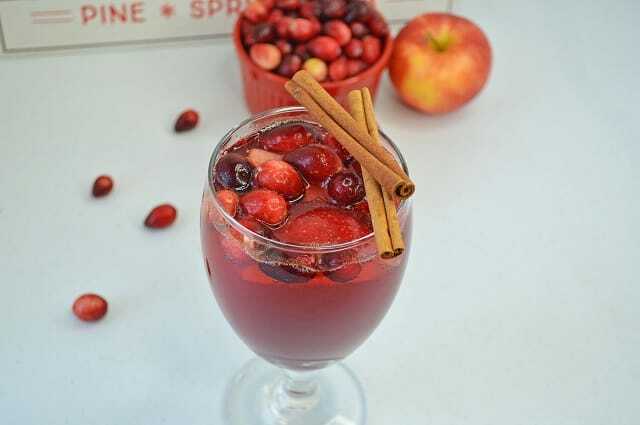 You will want one or two of these in your hand for Thanksgiving! It’s looking like a stress-free holiday right now! 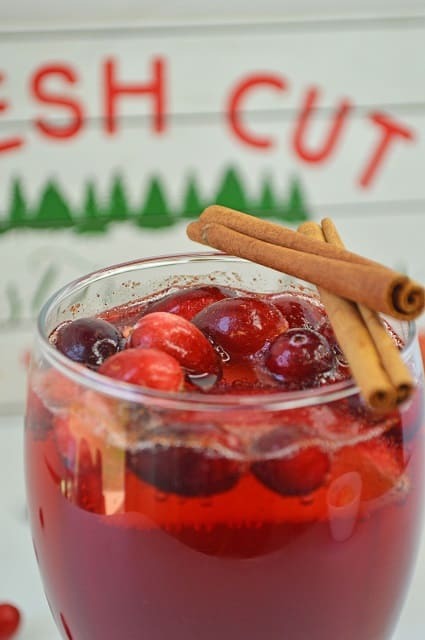 Fresh flavors make this cocktail very popular! More Cocktails that you will love! Be sure to follow me on Instagram and tag #mooreorlesscooking so I can see all the wonderful recipes that YOU make from this site! 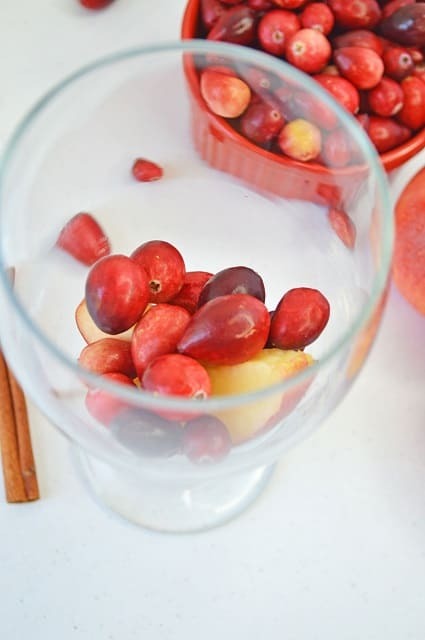 Combine apple slices and cranberries in a glass. This sounds and looks so festive. I also bet I’d be asking for another! Cheers Abbe! 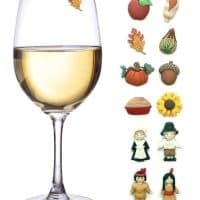 I hope that you have a wonderful Thanksgiving! A great mimosa! Thanks so much for sharing with us at Full Plate Thursday and don’t forget to bring your Cookie Recipes to the Holiday Cookie Exchange Link Party!